Sky has become the latest provider to increase its charges. After increasing TV subscription fees in the summer, now the cost of having a Sky phone line is going up. From December, existing customers will pay £17.40 a month for line rental, an increase of £1. In addition, customers will have to move to one of Sky's new telephone packages. Broadband products remain the same. New customers are already being offered the new line rental charge. Customers are due to receive an email from Sky outlining how the changes will impact them. As always, there are swings and roundabounts when comparing Sky with rival services, for instance, the Anytime Extra call package costs at £8 a month 5p more than BT's equivalent offer, but does include mobile calls and reduced rate international calls, whereas BT's package doesn't. 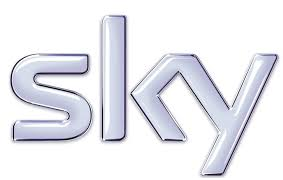 Sky's price rise follows BT, Plusnet and TalkTalk in what is becoming a regular annual carousel of above inflation price rises between the major operators, and one that appears to force non-pay TV subscribers to bear the cost of increased television rights.